I started with Young Champions in 2002 when I was 12 years old. 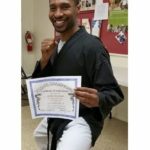 I got my black belt and started teaching in 2010. I taught in Hesperia for 5 years, Apple Valley for 3 years and I’ve been teaching in Jurupa since September 2017. 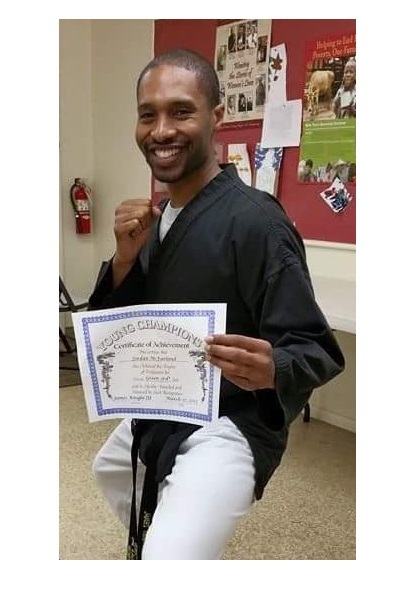 I briefly studied Taekwondo and Aikido. I enjoy watching martial arts movies, action comedies, love Marvel and DC, and I like to read, listen to music and spend time with my friends and family. The best part about teaching for me is watching my students grow up over the years; watching them get better as martial artists, watching them become more confident and grow into leaders, seeing their interests change. If I could have any three super powers they would be to fly, have super speed and super strength.